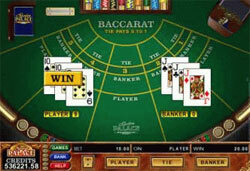 Baccarat card game always gave a chance for its players to develop their skills and knowledge of the game in order to become real professionals. When we speak about baccarat players who lived in the past for example, it is rather difficult to number their achievements at the sphere of baccarat: yes, they liked the game very much, devoted much time to it and played rather well of course. But what is their heritage? But all of them had already left their trace in the history of baccarat. Everyone believes Henry Tamburin to be the professional live blackjack player but he never considered himself to be such a person though his achievements here are beyond any doubts. He is a real expert of gambling, the author of many gambling books on different gambling topics; Mr. Tamburin has written more than 700 different articles, and he is a well-known lecturer. But he is a player first of all. Recently, Henry became interested in video poker and craps too: he had been working at the international chemical company for 30 years but retired already. Now he has more time to devote himself to his favorite hobby - gambling. 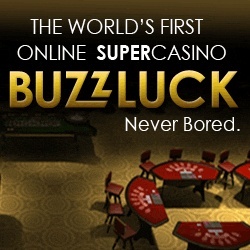 He is the well-known King of Scobe (his pen name), the author of many best-selling gambling books about different casino games, including baccarat. Though his favorite game was always craps, Mr. Scoblete was able to develop some strategies for baccarat game and describe them in an interesting and understandable way. Frank Scoblete has written in about 15 gambling books and he continues to write and publish his works today; moreover, he writes articles for different American and Canadian gambling magazines, gives seminars on particular techniques and writes for television. He can boast also with a series of DVDs and videotapes. This person is known as a passionate baccarat admirer who was not afraid of making really crazy bets ($200 000 as a single bet) at this game. He has got a nickname The Warrior from casino employees for such his quality. Akio was lucky enough to win $6 million in February 1990, but this year had one more "surprise" for him: Mr. Kashiwagi came back to the same casino table (Trump Plaza, Atlantic City) in May and lost $10 million playing baccarat! He was a Japanese property developer who never told about the real sources of his enormous incomes; in 1992 Akio was found dead at his home. They say that the Yakuza had killed himâ€¦ Anyway, Akio Kashiwagi still owned $9 million to casinos for his losses at baccarat.